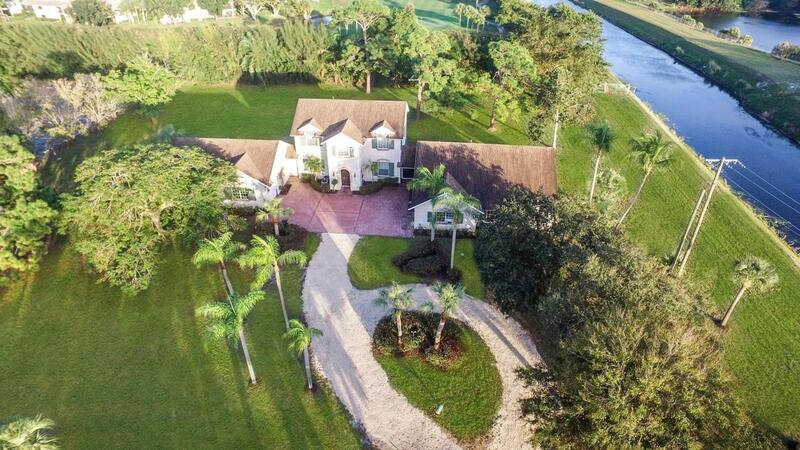 Extraordinary opportunity to own a custom, very private home situated on 1.67 acres in the heart of Boynton Beach. 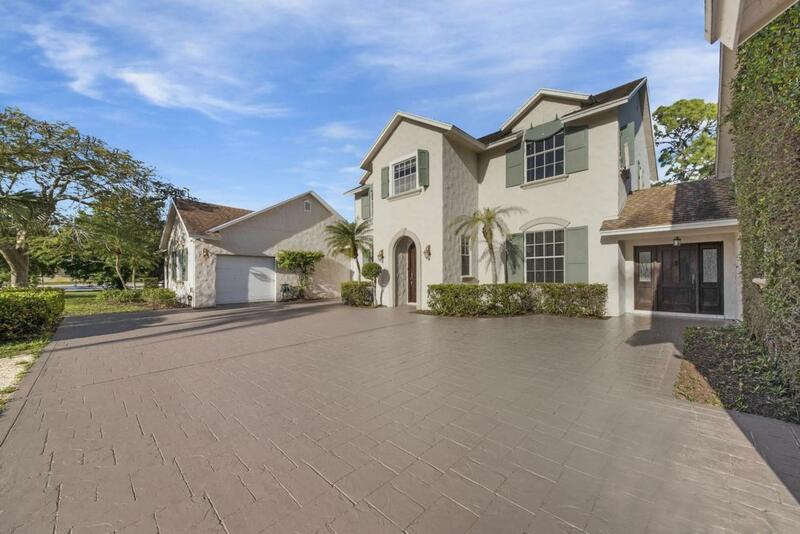 This one-of-a-kind home features a guest house with a kitchen, 3 bedrooms and 2 full baths. 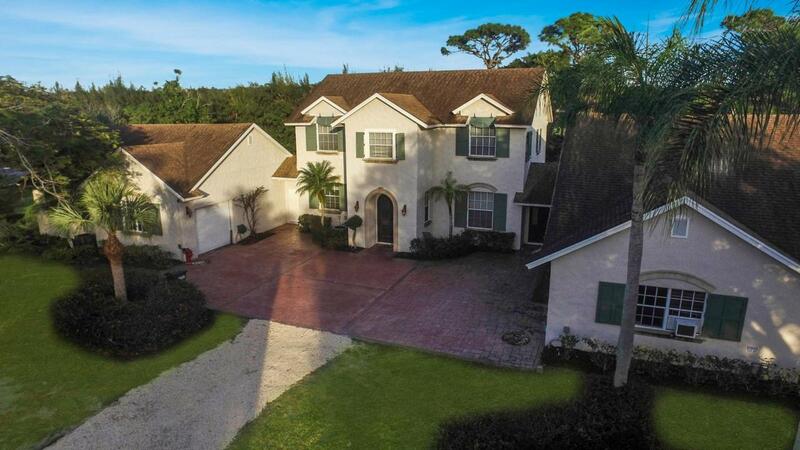 Stunning two story main house is ideal for entertaining with a living room, dining area, 4 bedrooms and 2.5 baths. The charming kitchen is a chef's dream with classic white cabinets, a double oven and snack bar. Luxurious master retreat offers a walk-in closet, jetted tub and a walk-in shower. 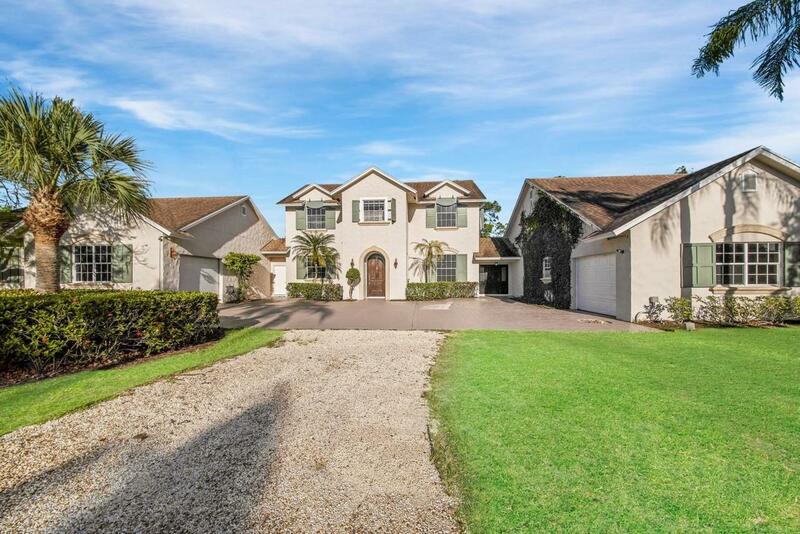 A dramatic staircase, custom ceilings, neutral tile and a canal view complete this unique home. Attached garage/workshop with oversized doors is perfect for boats or RV's. Great outdoor living with 2 patios, balconies and an oversized private yard backing a golf course. No HOA.Get away from the hustle and bustle of the city without sacrificing proximity to shopping, dining, entertainment, "A" rated schools and trendy Atlantic Ave.